Our Affiliate partner in Pittsburgh is investigating how the city's geography, community, and networks shaped their distinctive jazz sound for the "Places of Invention" project. 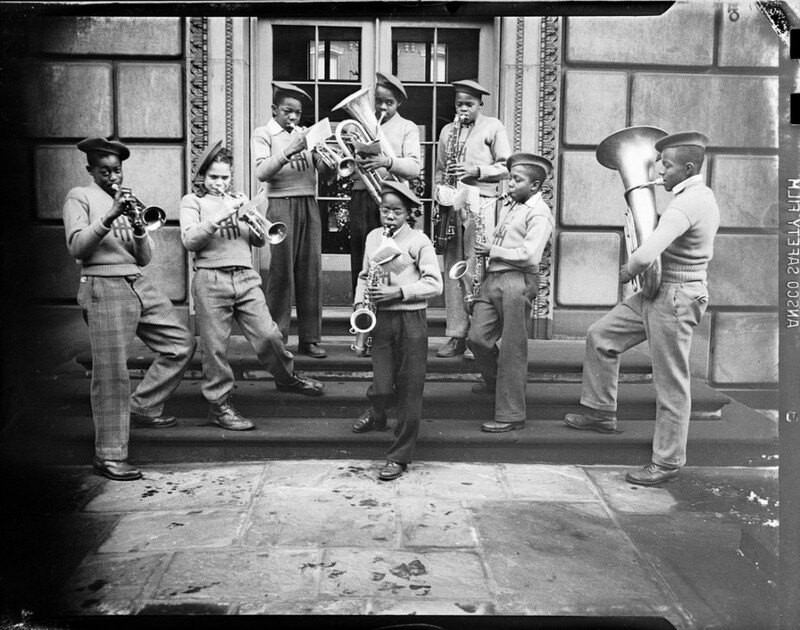 It’s no wonder that a unique jazz sound emerged from Pittsburgh. The city has a hum and a buzz, a palpable energy that resonates in its landscape, social spaces, and multitude of people. My colleague Ken Kimery—Executive Producer of the Smithsonian Jazz Masterworks Orchestra and Program Director of our Jazz Oral History Program—tells me the sound is unmistakeable. That you instantly recognize the city’s voice and feel in the placement of the beats of Kenny Clarke’s, Art Blakey’s, and Roger Humphries' drums. In Stanley Turrentine’s saxophone. In Billy Strayhorn’s compositional techniques and the musical dialects produced through jazz session group dynamics. 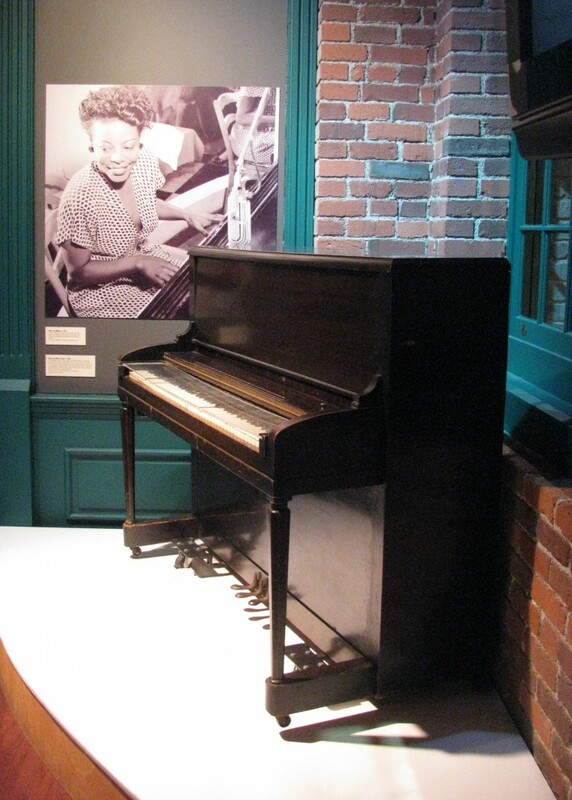 Mary Lou Williams’ piano, c. 1940s, on view in a re-creation of the Crawford Grill in the Senator John Heinz History Center’s exhibition, Pittsburgh: A Tradition of Innovation. The thesis of the POI exhibition is that place and community matter; that advantages and limitations of geography and resources drive innovation when combined with new ideas shared and refined through social networks. If I had any questions about Pittsburgh geography, they were answered on my drive into the city to visit the POI team. My car went up and down and around steep hills, past rocky slopes, and over railroad tracks and wide rivers moving large chunks of ice. As I wound through neighborhoods of brick houses, I couldn’t help but lean into each curve and think of the geology that helped drive the city’s famous steel and glass industries. Buildings I passed on rocky outcroppings looked more like cliff dwellings than urban homes. 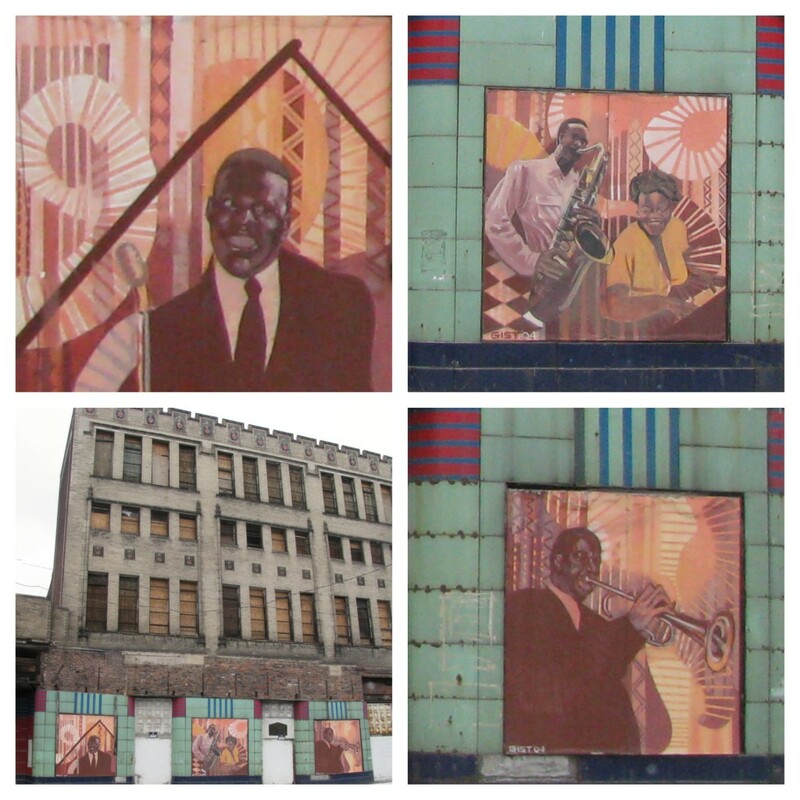 Clockwise from top left: Crawford Grill sign, Art Blakey House, Crawford Grill, August Wilson House. I learned even more about Pittsburgh’s landscape on a tour of the city’s Hill District led by Dan Holland. His knowledge of the area—the things that live even when the physical structure might be gone—was not only impressive but also moving. Smithsonian Affiliations’ Jennifer Brundage and the Heinz History Center’s Sandra Smith and Kate Lukaszwewicz also joined and provided helpful insight. As we passed the homes of Art Blakey and August Wilson, we saw storefronts and row houses clumped together on otherwise razed blocks. 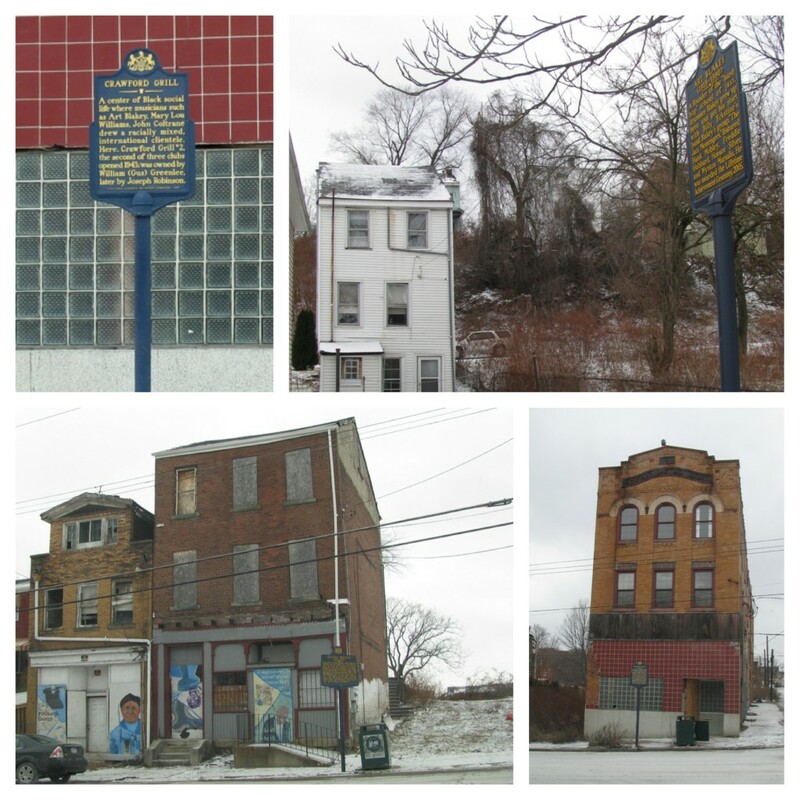 The Crawford Grill nightclub held its own on a street corner behind a blue historical marker. At the New Granada Theater on Centre Avenue, signs of community involvement and recovery were evident. Details of the New Granada Theater featuring Pittsburgh jazz legends. The building was originally built as a Pythian Temple for the Knights of Pythias, an African American craftsmen lodge. View of the Strip from the Hill: The Heinz History Center’s Sandra Smith and Kate Lukaszewicz with the Smithsonian’s Jennifer Brundage and YPA’s Dan Holland. Remains of old funicular to the right. Allegheny River in the background. 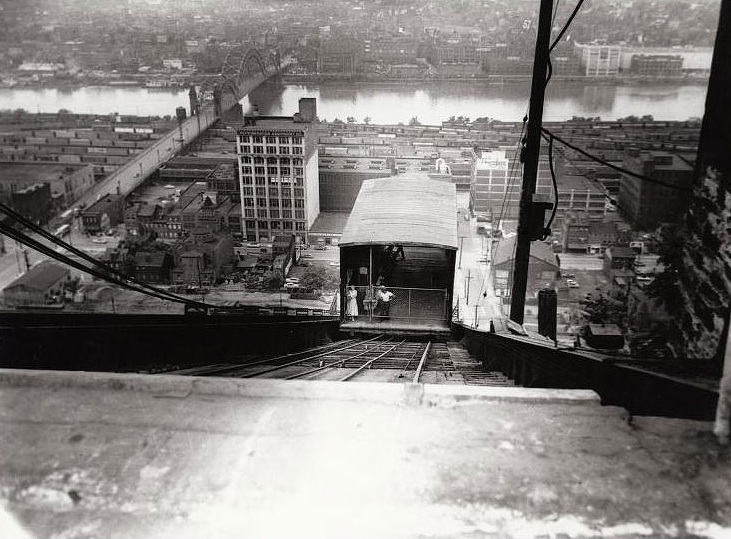 Nearby, we could see the remains of the old Penn funicular from a time when gravity planes transported coal and people up and down the Hill to the Strip District. Charles "Teenie" Harris, American, 1908–1998. Penn funicular, gravity planes transporting people up and down the Hill to the Strip District. Carnegie Museum of Art, Pittsburgh: Heinz Family Fund, © 2004. So how did the city’s geography, community, and networks shape Pittsburgh jazz? Our team is exploring this question in detail, taking into account the research and documentation that has been lovingly preserved in its cultural institutions. Does it come from the people dining with—celebrating with—worshipping with—playing with—laughing with—surviving with each other in segregated Pittsburgh? From a strong African American middle class with money to spend at the lively social spots that lined the Hill? From the mix of ethnicities that came to live and work together? From the many schools and institutions promoting music education? From the building trades-inspired apprenticeship system? From the clubs serving mill workers whose shifts ran around the clock? From the artists who could actually make a living performing and teaching in the city? From the visiting musicians bringing new ideas and inspiration to the music scene while on layovers between New York, Chicago and New Orleans? Or was it something else? The very rhythm of the city itself? Can the answer be found in Teenie Harris’ photographs of musicians and good-timers packed into the Crawford Grill and Goode’s Pharmacy? In images of children in classrooms clapping to live piano or playing brass instruments and bongos on the street? In performance shots of Roy Eldridge blasting his trumpet, Art Blakey on drums, a young Ahmad Jamal at the piano, and Duke Ellington and Billy Strayhorn backstage at the Stanley Theater? In the movement of the dancers and Lena Horne captured in a night at the Loendi Club? In Mary Lou Williams sitting at the Syria Mosque’s piano, surrounded by Earl “Fatha” Hines, Erroll Garner, Billy Eckstine, and Maxine Sullivan? My colleagues and I are enthusiastic to learn more and see how the Pittsburgh POI team develops its story. My trip was deeply rewarding and full of exuberant conversations about the project and the importance of telling this often overlooked story of Pittsburgh invention. We welcome all to join us as we celebrate the ongoing innovation of the Pittsburgh jazz sound. 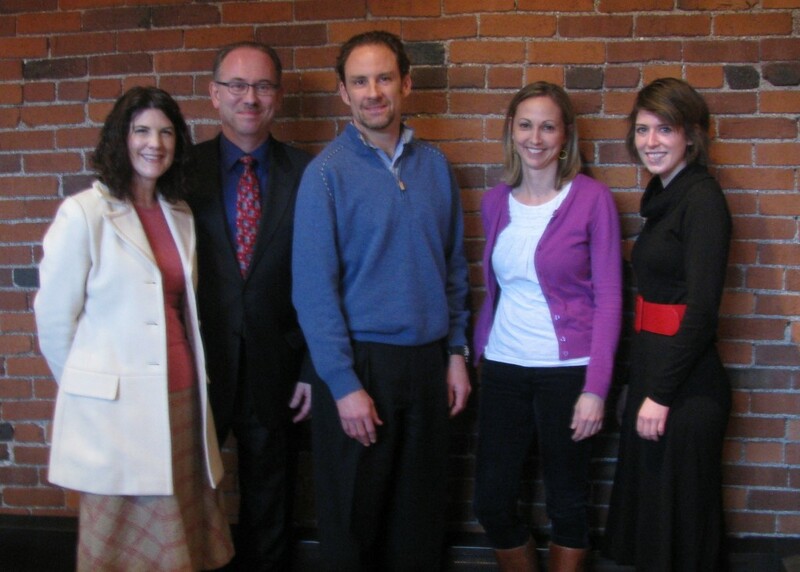 Renée Govanucci and Marty Ashby (MCG Jazz), Dan Holland (YPA), and Sandra Smith and Kate Lukaszewicz (Heinz History Center). The team met to discuss the POI project and collaborative opportunities.